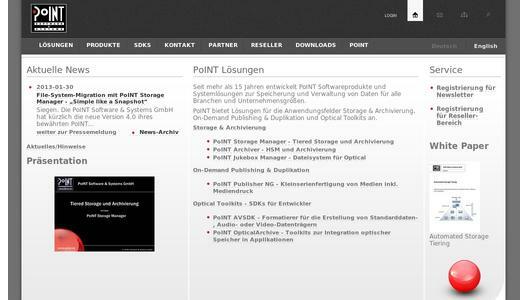 PoINT Software & Systems GmbH has recently announced PoINT Storage Manager 4.0. In addition to the enhanced functionality the software provides a fast and straightforward implementation of necessary file system migrations. Business operations are not interrupted as these migrations are carried out in the background. No application changes with respect to file system access are required. Instead employees can work with necessary data as usual during the migration process. Furthermore PoINT Storage Manager can be implemented as part of a tiered storage concept and thus a sustainable storage infrastructure can be built in a company. The migration of storage systems is a frequent challenge, as these systems become obsolete quite fast and must be replaced. Especially in case of file servers (e.g. NAS systems) a migration tends to be critical, as no standard tools are available. 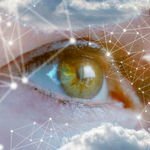 Companies mostly associate migrations with problems: They anticipate business interruptions, data loss and application changes. Therefore corresponding projects are often postponed until they have to be carried out under time pressure - which mainly results in problems. In order to escape from this "vicious circle" migration processes are required which preferably create no business interruptions and which are carried out in the background. Additionally application data access must be possible during the whole migration process. Furthermore application changes regarding the file system access are annoying interferences, which have to be avoided. Aindrias T. Wall, Manager Sales Storage Products at PoINT explains: "We face these known problems with our PoINT Storage Manager carrying out file system migrations 'Simple like a Snapshot'. The migration by PoINT Storage Manager is a transparent, automated and non time critical background process without any impact on applications and daily business." Companies can implement migrations with PoINT Storage Manager in their strategic storage concepts and thus can configure a permanent and sustainable storage infrastructure for their total data volume. As part of a tiered storage concept company data can be migrated by PoINT Storage Manager according to its value to a suitable storage layer by pre-defined policies. Storage capacities can thus be used optimally. The expensive primary storage used within the performance tier is released by migrating or archiving inactive data - which is up to 80% of the total data volume - to cost-effective secondary storage by PoINT Storage Manager. PoINT Software & Systems GmbH is specialized in the development of software products and systems solutions for storage and management of data using all available mass storage technologies like hard disks, magnetic tapes and optical media. Close collaboration with leading hardware manufacturers enables an early support of innovative storage technologies. Besides these complete solutions PoINT also offers its know-how as Toolkits, which can be easily integrated in other applications by the programming interface. Furthermore PoINT projects entire storage solutions and provides consultancy with his long-term and versatile experience. PoINT products are distributed by 50 partners in more than 25 countries world-wide and have been installed successfully in more than 2 million installations. PoINT customers range from end users expecting a compact and secure solution to large corporations, which comply with our solutions their complex demands by providing the necessary reliability and perfection.